Operator splitting is a common method for solving systems of partial differential equations. This is particularly the case if the system is composed of separate equations for which suitable software already exists. In such cases, operator splitting combined with explicit time-stepping is a straight forward approach. However, for some systems, implicit time-stepping is to be preferred because of better stability properties. The problem of combining existing codes in a fully implicit manner is much harder than the explicit case. 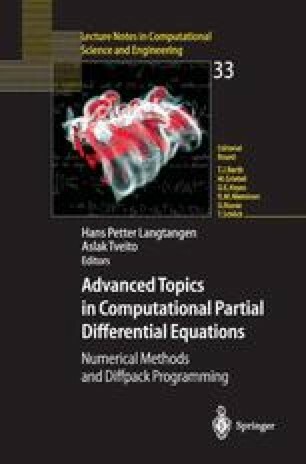 The purpose of the present chapter is to discuss some examples illustrating the possibilities of combining existing codes in an implicit manner.